When my mother Naomi was diagnosed with Alzheimer’s in 2010 at the age of 70, my father, Jack, actually started cooking for the first time in his life. Through the painful realization that we were losing our beloved mom and wife, we found humor in the situation. My father had actually entered the kitchen! This post is an excerpt from The Lost Kitchen: An Alzheimer’s Memoir and Cookbook, which chronicles the story of how my family struggles to maintain balance—and laughter—in the face of a devastating diagnosis. Mom doesn’t remember the wedding. She doesn’t remember dancing with my new daughter-in-law or being photographed with her grandson the groom, or even swing dancing with her husband. These are the moments that shine in my memory. I will remember for her. In the weeks leading up to the wedding, it was kind of fun to tell Mom every time we met that my oldest was about to get married. I’d show her the invitation and we’d count the days. She’d ask me about his bride, and I’d tell her how they met through their youth group, and that they’ve been going out since high school. “Have I met her?” she’d ask. The morning after the wedding, it was already lost. Getting dressed in our finest clothes, putting on makeup, walking into the beautifully decorated hall. The emotional meeting of bride and groom after a week’s separation, the way my son cried with love and anticipation as he performed the bedeken, the veiling ceremony, and watched his lovely bride walk towards him under the chuppah, the canopy. The fraylich joyous dancing, the hugs and kisses from friends and family. All gone. As if it didn’t happen. If I’ve learned anything about Alzheimer’s, it’s that though Mom’s past might be lost, and her future is, well, non-existent, her present is immediate. Every moment that she spent at the wedding was fully experienced. One of the absolute highlights in an evening of amazing experiences was when we presented Mom with a birthday cake for her 73rd birthday. The band came over and played “Happy Birthday,” then seamlessly switched to swing music. Daddy grabbed Mom’s hands and that was it, they were dancing as they love to do, twisting and twirling together in fluid motion. The whole hall was clapping and watching, and nothing else existed at that moment. That’s one of the lessons I’ve been trying to learn from her: live the now fully. How do I feel? Exuberant! My son’s wedding was filled with blessings. And I feel sad. We’ve accepted the terms of this disease. We’ve taken on her care knowing what’s to come. It doesn’t make it easier to watch her deterioration, but it does mean that we are prepared to handle what comes next. We’ve already steeled ourselves emotionally to the changes she’ll continue going through. Holding conversations with her is getting particularly difficult. We have to supply the words that she can’t recall, and steer her to the conversation’s conclusion. So many people said hello to her at the wedding. She kept asking me who they were, how I knew them, what they were doing there. The trick is to stay patient and keep smiling. Being with Mom does not have to be sad; Mom is happy—even with Alzheimer’s. My sister-in-law who has a degree in gerontology: “There are so many ways you can approach Alzheimer’s. Your mom is so full of life. She is a pleasure to be with, and that’s what you have to focus on.” She didn’t need to mention that her mother, my adored mother-in-law, is also having trouble remembering. My brother does help. He calls daily to speak with Mom. He even made her a pictorial family tree for her to identify her kids and grandkids. I told him it wasn’t worth being sorry, that regrets are the past, and the past is over. But I am sorry. I’m sorry he’ll miss the joy of being with Mom while she is still so present. Nothing can replace that as she slips into forgetfulness. In preparation for the family Shabbat after the wedding, I took the time to bake challah, traditional bread eaten on Shabbat and other Jewish holidays. My signature challah is a combination of white dough and whole wheat dough arranged in a circular baking pan with white and black sesame seeds sprinkled on top. I also like to braid challah with four-strands. When you make challah every week, you start to sense how the dough will turn out. If you are trying challah for the first time, there are a few tricks you can employ to make sure it turns out well. Adding a little oil to your hands allows you to knead the dough without it sticking. If it is too sticky, add more flour. Whole wheat flour needs more water than white flour to become dough. Don’t be shy about adding more than the recipe calls for, but add it in small amounts. Let the dough rise in a warm place like the top of the refrigerator. If the dough hasn’t risen much after two hours, kneed it, shape it, and when you’re ready to bake it, bake at a low temp (200°) for about 10 minutes before you turn up the oven to 350°. For the two-toned white and brown challah effect, you need to make this recipe twice, once with white flour and once with whole wheat flour. In a large bowl, mix flour, sugar, salt and yeast. Make a large indentation in the mixture. Pour warm water, oil and egg into bowl. Using your hands, mix until you form a small ball of dough. Lift dough out of the bowl and knead on a floured surface until the dough becomes uniform and smooth. Place dough back in the bowl and coat with a thin layer of oil. Cover bowl and let rise in a warm location for two hours until dough expands in size. After two hours, knead dough until all air bubbles are gone. Divide and shape dough into braided or rounded challahs. Place on a baking sheet (covered with parchment paper ) and let rise at least another hour in a warm location. Just before baking, brush top of challah with beaten egg and sprinkle with sesame seeds. Bake at 350° for 20 minutes or until bread becomes golden brown. That looks fantastic! I just copied the recipe! Thank you! i LOST MY MOTHER AGE 55 DUE TO DEMENTIA AND BEING THE SISTER SICKNESS OF ALZHEIMERS , IT IS TERRIBLE!!!! Thank you for your article it gives me a new focus. My husband and I have just started this journey and I am having a lot of trouble seeing the humor in the things he forgets or says. Once again thank you for your encouragement. I cried as I read their story. Beautiful however sad. Bless them all through their journey. Thank you for reminding me that I need to keep a sense of humor as I watch my husband of 52 years pull away from reality and recognition of his own family. I try never to disagree with him but go along with him or change the subject. That was a very lovely story. 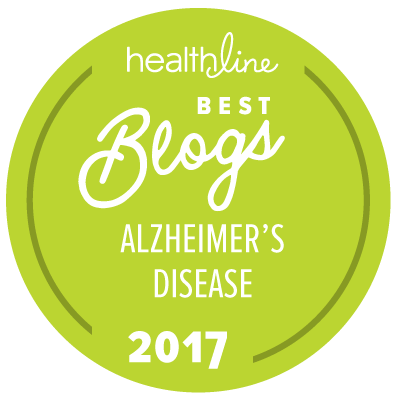 My Husband has Alzheimer's. He is 71 Years old and I am 58 years old. The age difference no longer exist. The presence is important to us, but some things in our past come back, which makes this situation not so pleasant. After reading your story, I can see things a lot clearer. You are to be commended for the love you show your mother,( and the others as well). It is unfortunate, my Husband's kids don't share the same vision. From this day forward, I will cherish the moment that God has granted us on a daily basis.. I will cook some of your recipes, and think about how much your story has helped me. Miriam, I enjoyed reading it so much… It help me remain hopeful and loving 🙂 I will be trying the Challah recipe this weekend. Heart rendering read- had me about to tear up. My wife of same age is going thru the early MCI stage of the disease. Your article gives me encouragement and reinforces my approach of " live for the moment, and do everything, the simple things, that makes her happy now and every day !!! Absolutely wonderful and very touching. I have two moms (adopted and birth) at different stages on the Alz journey. I ran into our neighbor, Mario Batale, the gracious and popular tv chef, and we chatted briefly about flavors and smells, and Alzheimer's. I told him I loved garlic. And, I often bring a clove to peel, slice and, gently, in the palm of my hand..place under the nose of my adopted mom, Kitty. In her earlier days we used to cook wonderful dishes in my phone booth sized kitchen! The garlic takes a minute to do its magic..but I will often see a smile, slyly coming to the corners of her mouth..perhaps the homey, wonderful scent of the garlic triggers some far away sensations in her brain, even now compromised so, by Alzheimer's? It warms my heart and I do not grieve. I celebrate the decade we had – and the food we savored! Bless you for the work that you do. Laura Ponticello featured both of us on Laura's Booklist just recently. My heart goes out to your father. If you have a chance to read my book Please Don't Forget Me, it may provide an insight to his feelings. Keep fighting the fight. We'll get there.